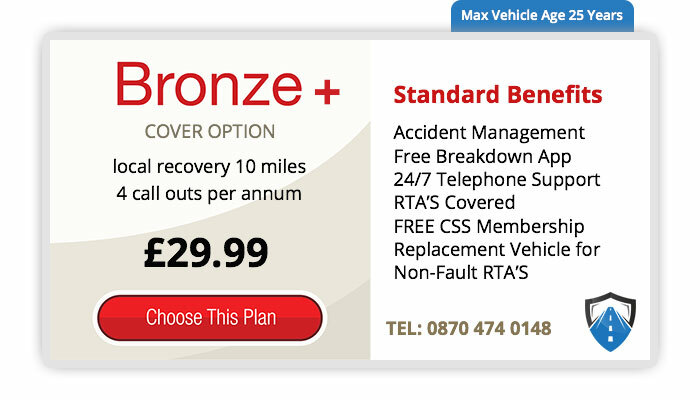 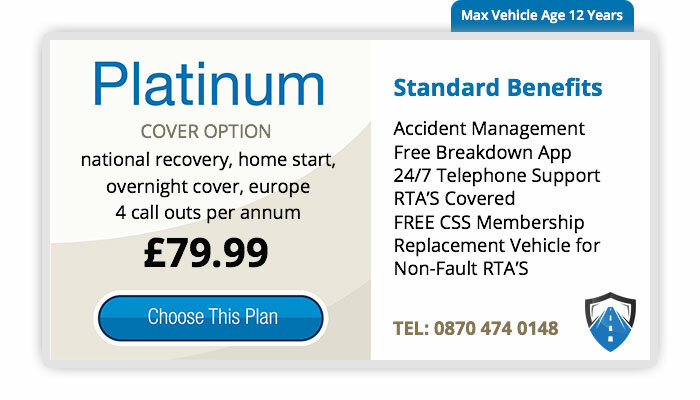 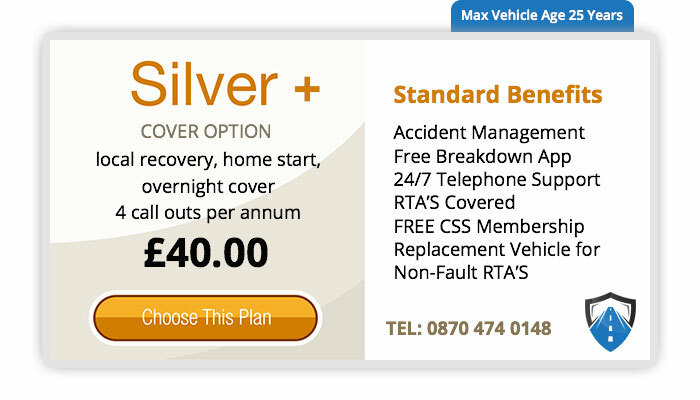 Road To Recovery’s Bronze Plus Breakdown Cover is the perfect breakdown cover product for motorists looking for an inexpensive no-frills type of cover. 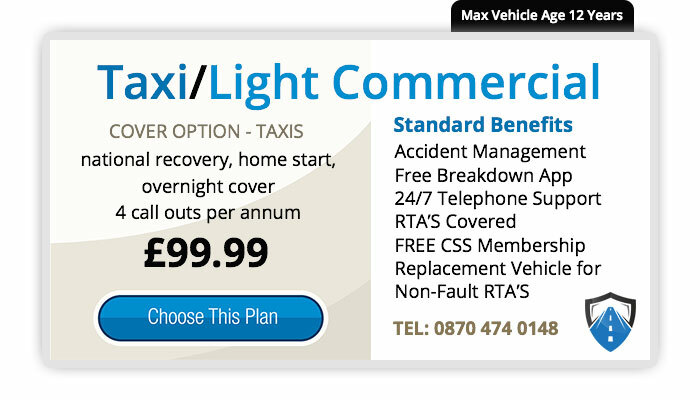 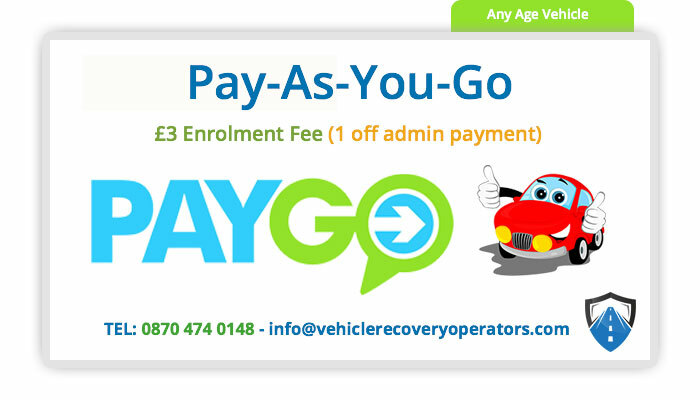 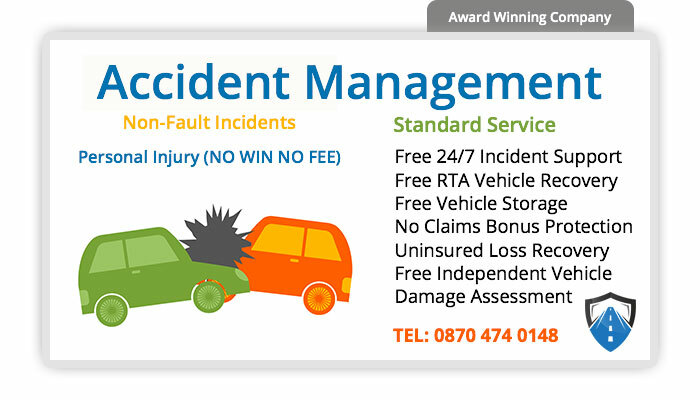 It covers you for Local Recovery of up to 10 miles and is valid for as many as 4 call outs per annum. 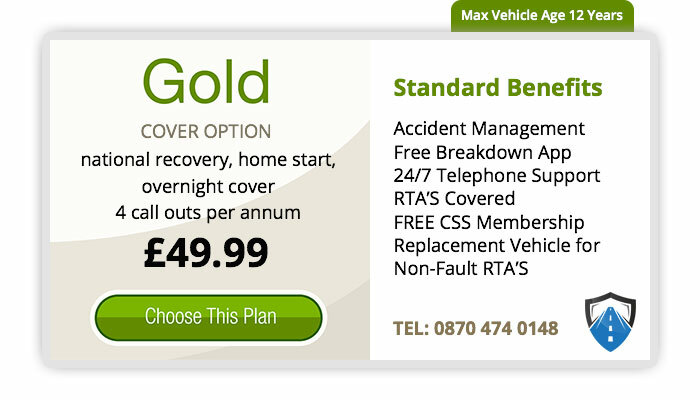 Vehicle age 25 years and under.